Terminator-Test is the next advancement in male hormonal optimization. This is not just another one of those weak testosterone boosters full of under dosed ingredients backed by hardly any research. 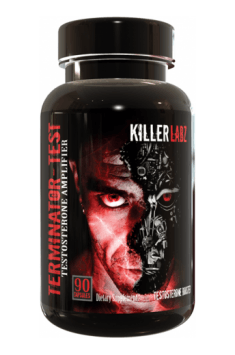 Terminator-Test contains highly proven ingredients at effective dosages and because of this there is no reason to hide behind a proprietary blend. The most complete testosterone boosting agent has arrived, unlock your genetic potential and lead life like you were supposed to, like an Alpha male. Let’s take a look at what makes this innovative formula so effective.